Our BaseCamp concept has proven very successful over the years. One month of hard training with access to some of the worlds best Laser coaches, good training partners and quality time with our in house strength and conditioning coach to work on your fitness levels. What more can a Laser sailor ask? If you haven’t got the time for a full month sailors are welcome to join for a week or two to brush up on their skill set, catching up on the latest techniques in the class. Being exposed to the culture, seeing firsthand how things are done by the professional Laser sailors, just their lifestyle alone is an eye-opener for most Laser sailors. Sailors staying for one month at a time at one of our SailBase or a regatta site, being introduced to an Olympic sailors way of life, getting into a routine of sailing, fitness, briefings, protein shakes and sleep. BaseCamps have a broad focus, giving sailors the opportunity to work on different areas of their development. 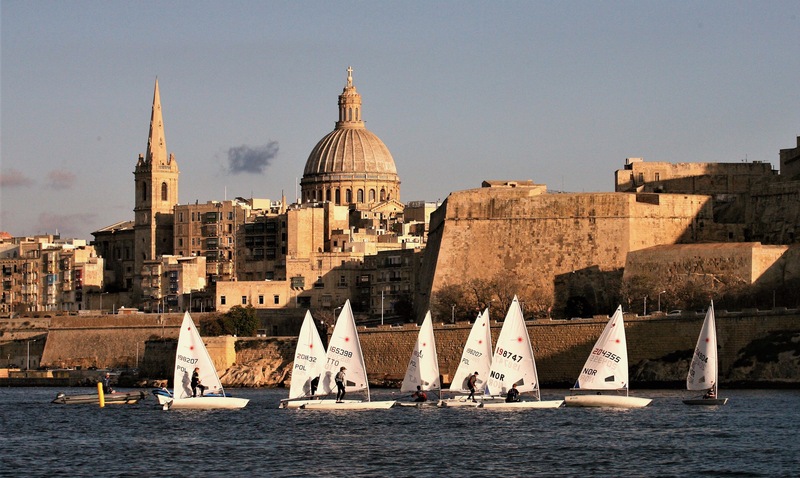 Primarily aimed at Laser Std athletes campaigning for a goal regatta, the beauty of BaseCamp is that sailors get to experience and practice in every type of sailing conditions as the weather varies throughout the month. Athletes can get into the routine of a true Laser professional and often sailors make the biggest improvements in performance during BaseCamp training stretches. Athletes get to work with a coach for a prolonged time and therefore perfect specific techniques. Competition is provided by the other Laser sailors in the BaseCamp making the training sessions competitive. Fitness levels benefit also from working out a couple of times a day with our in house strength and conditioning coach. Often address body weight issues are addressed as there is a reasonable and consistent time frame to achieve such goals. Another major bonus of the BaseCamp programme is that sailors become members of the SailCoach ‘family’. Friendships are formed with training partners and coaches as the SailCoach team live, eat and sail together usually in a wide mixture of cultures. These friendships and cultural interactions can be important for the development of athletes, both in their sailing and in their life experiences. We see this as one of our important strengths. Furthermore, English is the first language of Team SailCoach with all coaching and life conducted through English. This gives BaseCamp sailors the chance to develop the language and often they return home with a much improved vocabulary. If you are a Radial sailor we run Radial BaseCamps from time to time, so please ask when the next one is planned. Ten additional benefits of BaseCamp! Depending on the venue the day will start with a physical training warm up session, sometimes before breakfast, sometimes after. These physical training sessions will be conducted by our in-house fitness coaches, with care being taken that the exercises are suitable for that age group and to ensure the safety of the sailors taking part in the sessions. This will be followed by a briefing on what the coach plans for the days sailing sessions, pointing out the areas where the coach intends to focus, taking in consideration for the prevailing weather conditions. Depending on the venue and the weather forecast the coach may decide to run one longer session instead of two shorter sessions. After a late lunch there will be a debrief on the days sailing session. The fitness coach will take control of the group again after sailing, running a gym session and a cool down session which sometimes involves a ice bath or swim. Again, depending on the venue there will be a debrief on the days activities either before or after dinner. There will be some time set aside in the evening to relax before bed… the next day it starts all over again! We can also be flexible to help fit in with your study/work schedule by letting you join the BaseCamp programme for two or three weeks instead of the usual month.